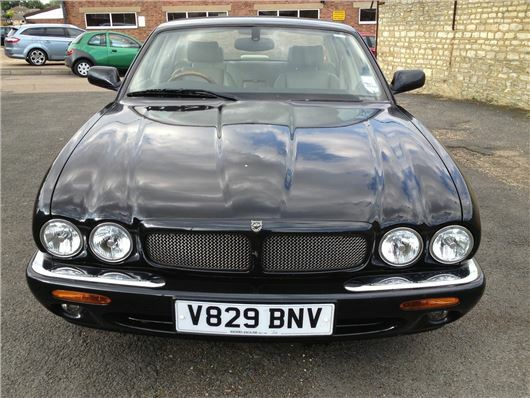 A 1999 Jaguar XJR once run by Jeremy Clarkson of Top Gear fame is to go under the hammer at Anglia Car Auctions, King's Lynn as part of its classic sale on Saturday 24th August. Anglia Car Auctions has a history with Top Gear because 4 years ago Carkson, Hammond and May used the auction house to source three classics for a rally challenge featured on the programme. The black 99V Jaguar XJR Supercharged remained registered to Jaguar but was used by JC as his 'long term test car' 14 years ago, and he regularly bemoaned the task of keeping it clean. “Black cars cannot achieve that all-over scum effect so, when it's dirty, it just looks awful,” the young Clarkson ranted. Extra clean?! It'll have a heavy coating of cigarette smoke inside.